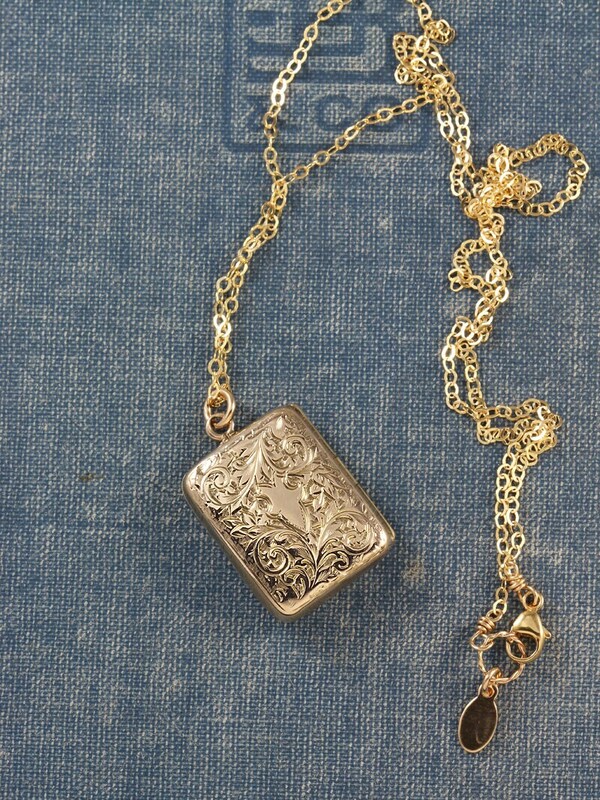 A gorgeous Edwardian 9ct back and front gold antique locket is hand engraved with intricate swirling vines on both sides. 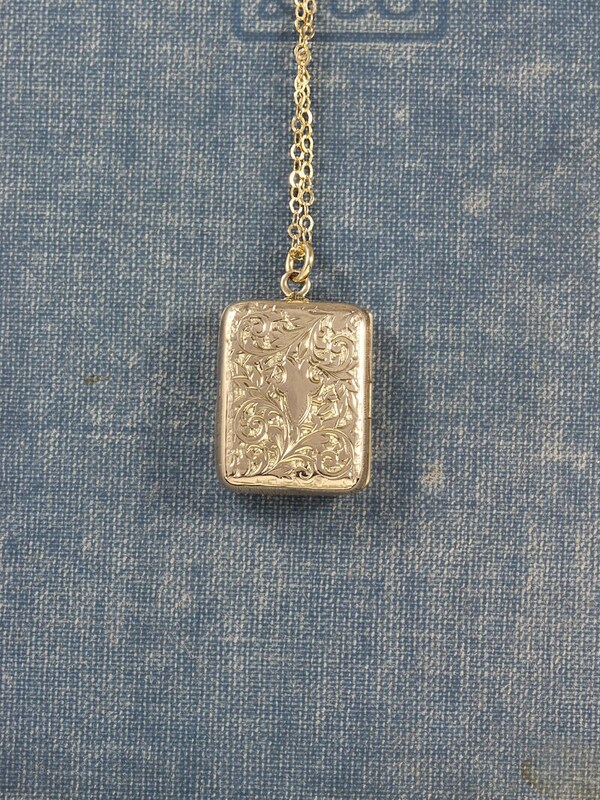 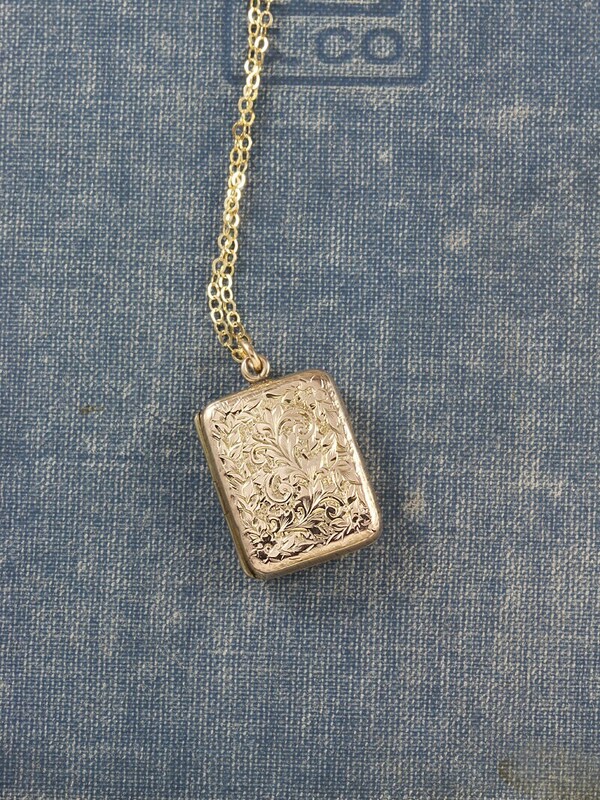 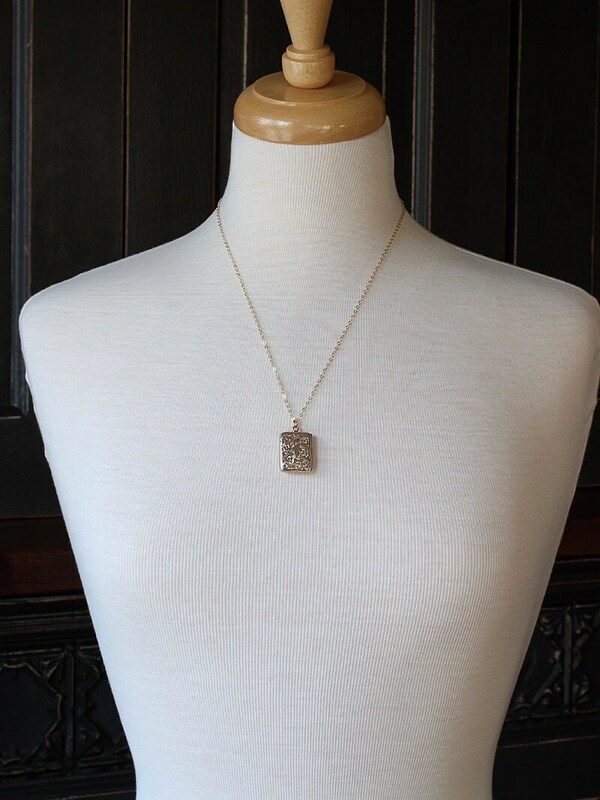 The beautiful antique book shaped locket opens to reveal two places ready to hold your beloved photographs. 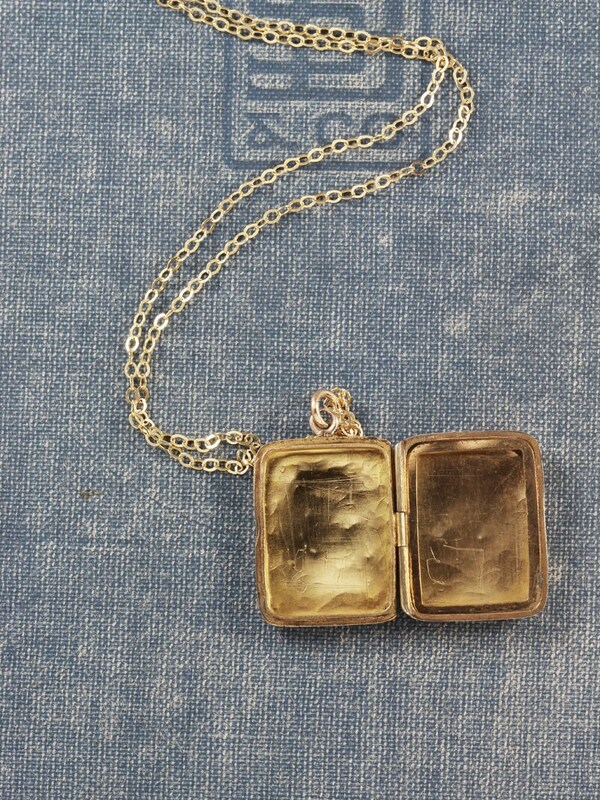 The warm antique gold picture pendant is set on a new 14K gold filled chain hand finished with a trigger lobster clasp and ring.